How can movement be painted? In order to answer my question I simply refer Deleuze’s understanding of movement as it appears in his Francis Bacon, Logic of Sensation, to Heraclitus’ flux. In common the two thinkers have the idea that ‘on the surface’ appearances simply undergo a process of destruction. Heraclitus calls the successive metamorphosis of any figure the flux. 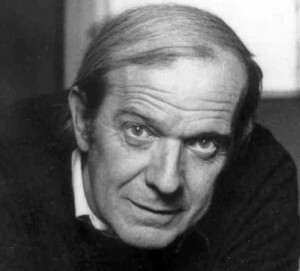 Deleuze refers to the same effect with the name of narration. In my presentation I shall treat Deleuze’s logic of sensation as a description of the artist’s practice. Here, he faces the Heraclitean problem: can the viewer see anything real in movement, which does not undergo destruction? In Francis Bacon, Deleuze distinguishes two genera of movement. Next to narration we have that of Bacon’s Figures. The former is the change occurring in an event (a figure is here, then it appears elsewhere). The latter creates the event. While a figure, present on a surface, is destroyed by the upcoming figuration, Bacon’s Figure is both the figure and the invisible forces and movements that create it. Deleuze calls the Figure a compound of sensation: both what is seen and the seeing. By following Deleuze’s notion of sensation, one is led from the Heraclitean problem, ‘how can movement present something real’, to the Deleuzian answer: a Figure endures in its movement, thus the painter traps movement ‘alive’. This entry was posted in Philosophical on 19/03/2019 by Mary.